Until recently, most places around the Great Lakes have been left wondering where the snow's been. 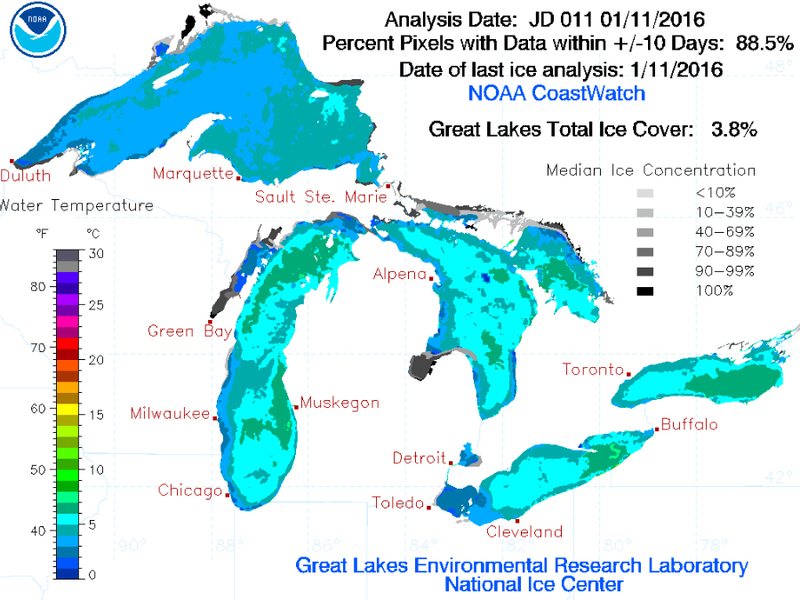 In a typical year, cities near the Great Lakes will begin to see lake effect snow beginning in November and peaking in December before the lakes freeze over in January or February. Right now, the amount of ice on the lakes is only 3.8 percent frozen, compared to last year when they were 22.5 percent frozen at this time. The snowfall totals in cities prone to lake effect snow reflect this little stat, too. Cleveland, Buffalo, New York and Grand Rapids, Michigan all have a snow deficit anywhere between a foot and half to three feet less than normal! This is partially because of the strong El Niño that continues to grow in the Pacific, altering weather patterns around the world. During El Niño years, ice coverage is typically at its lowest on the Great Lakes. Just look at 1983 and 1998, two of the strongest El Niño's in recorded history. 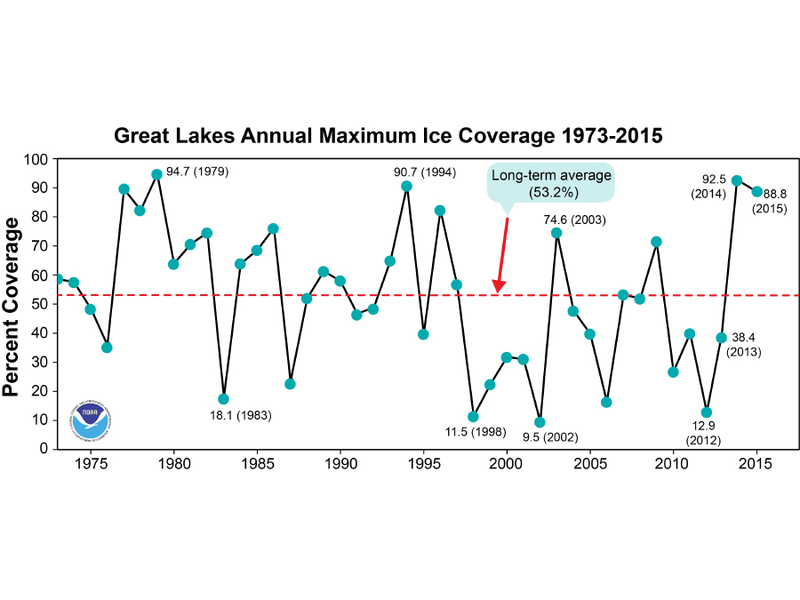 Ice coverage was at near record lows both years. If this pattern holds true the rest of the winter, lake effect snowfall totals could have a chance to catch up during the rest of January and February when the chances of lake effect snow are typically frozen with the lakes.